We are new Veggie Tale fans in my home. Since my son was born almost 2 years ago I have started buying and renting Veggie Tales DVDs. I adore them. They are a fun and cute way to teach my son about Christian stories and values in a way he can grasp. Even before he was born I thought Veggies Tales we so cute when I would see them in the store. The DVD came with a set of Drum Sticks. My son loved them using the couch, the floor and even me as a drum. Last Christmas we watched The Toy that Saved Christmas and we loved it. I was a great movie to teach kids Christmas is not just about the gifts we get and the true meaning of the holiday. This year I was excited to see that there was a new Veggie Tales holiday movie to share with my son. I enjoyed watching The Little Drummer Boy with my son. He sat with me watching and listening. The overall theme of the movie is forgiveness and giving as it teaches about the birth of Jesus. Junior Asparagus has to learn to forgive his friends over a misunderstanding. The new funny song "The 8 Polish Foods of Christmas! "made me laugh since I am half Polish! Featuring the song "The Little Drummer Boy" with Dove and Grammy award winning artists BeBe and CeCe Winans! Also includes the new Silly Song "The 8 Polish Foods of Christmas!" Behind the Music of "The Little Drummer Boy"
Visit a Drum Factory with Junior! Interactive Book Preview: "Christmas is Finally Here"
Veggie Tales online store has great Holiday Sales including two that have Little Drummer Boy. Special Offer #1 and Special Offer #2. 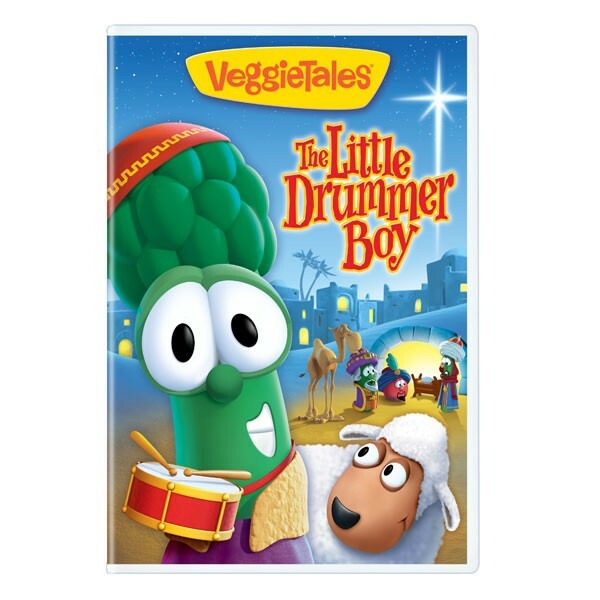 In addition to the Little Drummer Boy sales they also have 8 great Veggie Tales DVDs for only $6.97 a piece for the Fall Sale. If your a Veggie Tales fan like my family you can follow Veggie Tales on Facebook and Twitter to stay up to date with Veggie news and get sales info.